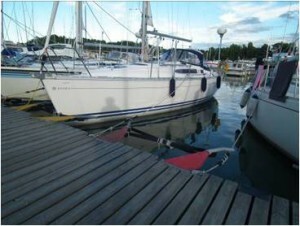 105 Rocks - Nagu - marina - Sail in Finland! Ed. 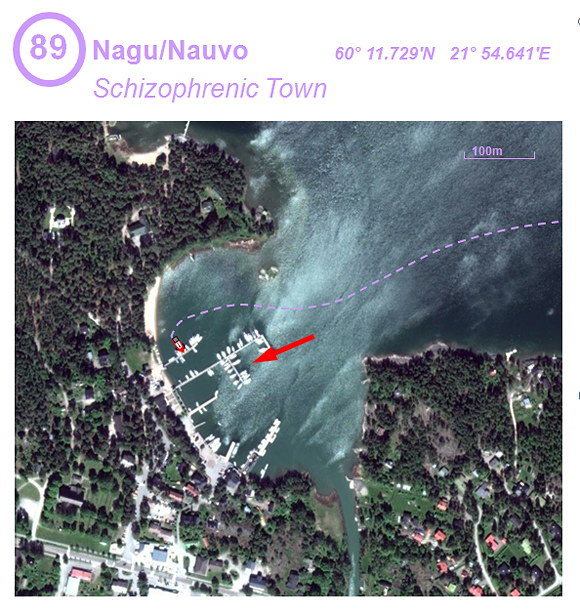 note: Martin seems to have been guided to the Nagu Yacht Club which is used in “overload” situations, the red arrow indicates the main marina jetty which should be used when possible. It’s unsurprising that this wee holiday town has names in both Swedish (Nagu) and Finnish (Nauvo). 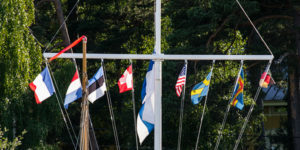 In Åland Swedish is everyone’s first language and here, though properly in Finland, Swedish is the language of a lot of islands. It’s more surprising that nowhere else I came across displays it’s schizophrenic nature as much as Nagu/Nauvo. The quite large guest harbour was properly busy when I arrived in mid July. Zoph got practically the last proper space. But the studenty marina elves, zipping about in small RIBs, are accommodating and good at squeezing people in. 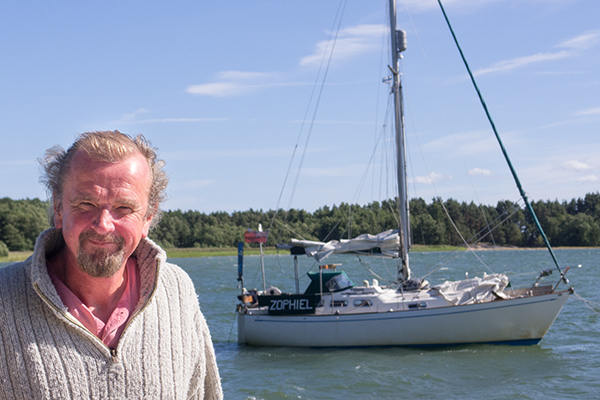 One of them told me that they had recently managed to pack in nearly twice as many boats as there are spaces. So you’ll probably always get in somewhere. But the If possible try to avoid going into one of the laughably crap rubber band spaces. This type of mooring is the worst ever devised by man. It’s like an alongside mooring, but one in which your bow is pressed onto the pontoon. A rubber band is stretched between 2 galvanised poles sticking out from the pontoon. You ram the band with your bow, then tie both bow and stern to the pontoon. No stern buoy or anchor. 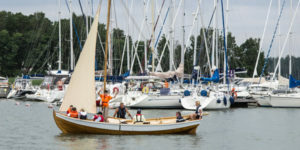 The stern is theoretically prevented from swinging about by the tension in the lines from it to the pontoon. Locals tell me that it sort of works, as long as all the berths are full and the boats all support one another. This type of mooring is evidence of how benign sea conditions are here. Imagine such a system in a British marina. The slightest motion in the sea would make all the boats – especially the ones with the most rakish bows – mount up onto the pontoon. 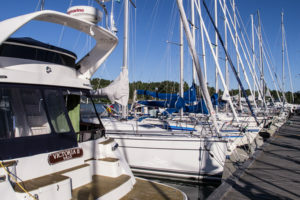 If they used such a system where my boat usually stays – Port Edgar Marina on the Forth, the first time it blew over a force 5, or a ship went past, everything in the marina would be written off. Nagu/Nauvo is a busy, jolly holiday place in July, filled with touros packed into the 3 or 4 restaurants. There’s also shops and bus and ferry connections. 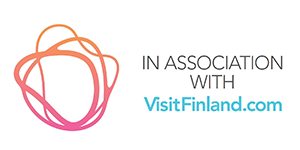 Locate Nagu on the map and find more adjacent harbours and marinas here.